This bright, airy room has Free WI-FI, a TV with digital channels and tea and coffee-making facilities. An iron and hairdryer can be requested at reception. Cots and extra beds do not fit in to this room type. This bright, airy room has Free WI-FI, a TV with digital channels, a desk, and tea and coffee-making facilities. In some rooms a cot can be requested free of charge. An extra bed will not fit in to this room type. An iron and hair dryer can be requested at reception. This bright, airy room has Free WI-FI, a TV with digital channels, a desk, and tea and coffee-making facilities. An iron and a hairdryer can be requested at reception & Free WiFi is also available at reception. This room cannot accommodate an extra bed. 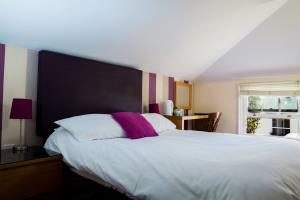 This bright and airy bedroom has Free WI-FI, a TV and tea/coffee making facilities. The room has a shared bathroom with one other room. This room cannot accommodate an extra bed or cot. This room does not have an en suite bathroom. 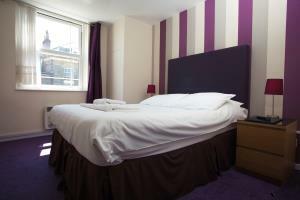 The bright and airy bedrooms each have Free WI-FI, a TV and tea/coffee making facilities. This room has a shared bathroom with only one other room. This room cannot accommodate an extra bed or cot. This room does not have an en suite bathroom. Set within a separate cottage on a cobbled street, one of these double rooms has lower ground access. 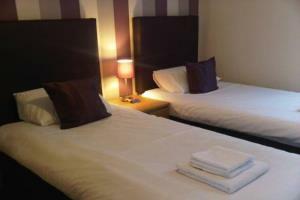 Both rooms have Free WI-FI, an en suite bathroom, a digital TV, desk and tea and coffee-making facilities. A cot can be requested free of charge. An extra child`s beds will not fit in to this room type. An iron and hairdryer can be found in the room. One of these rooms has a bath and one has a shower. This en suite room has 1 double bed and 1 single bed, along with free WiFi, a digital TV, a work desk, and tea and coffee making facilities. Two rooms are set within a separate cottage, on a cobbled street. One of which has lower ground access. The third room is in the main building, on the second floor. A baby cot can be requested, free of charge. Please note that an extra bed can only be accommodated in the family room in the main building. All family rooms can accommodate 2 adults maximum. This bright, airy room has Free WI-FI, a TV with digital channels, a desk, and tea and coffee-making facilities. 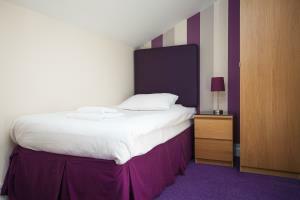 A cot can be requested free of charge or an extra child`s bed will fit in to this room at an extra charge per night. An iron and hairdryer can be requested at reception.